KUALA LUMPUR, 15 April 2011 – Malaysian youth are in for three days of music, games and fun with a Swedish touch at FEYST11 from 6 – 10 May, 2011 at Pavilion Kuala Lumpur. 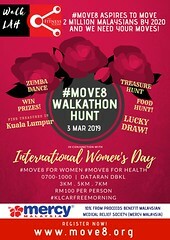 Held alongside the Sweden Malaysia Innovation Days forum and exhibition, FEYST11 jointly organised by Sweden Embassy of Kuala Lumpur and Go International Group heads for the great outdoors at Pavilion KL and expects to attract over 30,000 youngsters. 500 participants have signed up to take part in various activities; FEYST free concert, a Sweden Malaysia Collaborative Gig, GO.esc pro-gamer tournament, Mobile Games challenge, Innovative Challenge competition, Malaysia Beatbox Crew Challenge and more! All content created from the five-day festival will be made available via social media networks like Facebook, Twitter, websites, blogs and forums and the Organisers expect to upload over 1,000,000 megabytes (1TB) of digital content on their network of social media sites, as well as their website, www.feyst.com. The digital lifestyle and music festival, which has been a big hit for the past three years, is a part of the Sweden Malaysia Innovation Days forum and exhibition. Sweden Embassy works with partners like IKEA, SAAB, BAE, Ericsson, Volvo Trucks, ABB, MHE-Demag, SKF, Scania, Volvo Cars, Electrolux, and Tetra Pak to give Malaysian youth a taste of Swedish culture. Over 55 independent acts have been lined up to hit the music stage including the likes of Jerome Kugan, Liyana Fizi, Izzy Mohd, Azmyl Yunor, Pesawat, Reza Salleh, Bo Bedroom Sanctuary, Wani Ardy, Dichi Michi, Round Robin, Beatburns, Phlox (pictured) amongst others. 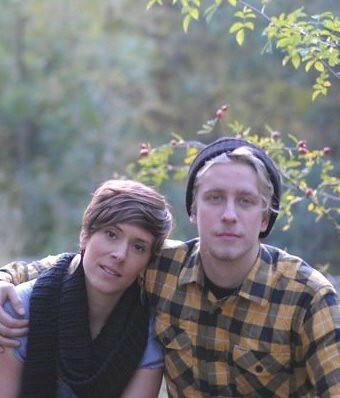 The Harvest (pictured), a Folk/Blues/Americana singer songwriter duo from Stockholm are set to share their music and collaborate with Malaysian artistes. 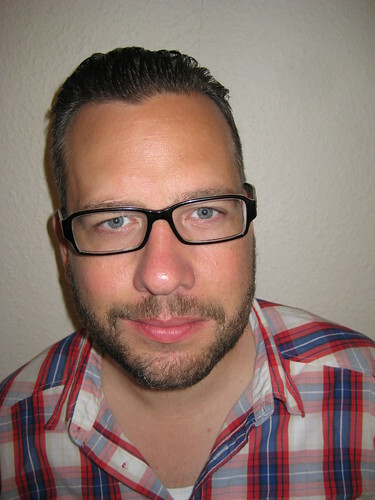 Patrik Larsson of Headlock Management, a leading management firm for the entertainment industry in Sweden will also be visiting Malaysia to speak at the FEYST Music Forum on 8 May. “We provide the platform at FEYST for youth to display their talents, innovative ideas and entrepreneurship in the music and video games industries. Youth-inspired innovation can ignite progress for our country. From a recent visit to Sweden, we learnt that their innovation system involves the University, the Private Sector and the Government. 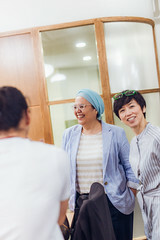 Universities even have Innovation Centres to encourage and educate students on monetising their creative innovation,” said Jasmine Low, Festival Director of FEYST. FEYST11 is a six-month season and this first burst of activities mark its season kick start. More concerts and gaming tournaments will be held throughout the year, with the festival closing at grand finale event in the fourth quarter of the year. An entourage of musicians and pro-gamers will head to Europe to participate at international festivals like ESWC and DreamHack in November 2011. 1. Interviews with speakers, musicians, pro-gamers and participants can be arranged to your convenience. Kindly contact us via email or call Jasmine Low on 017 623 0288. 2. High resolution images are available upon request. 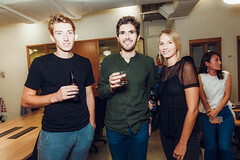 Alternately, visit www.flickr.com/photos/thegogroup/sets to browse our photo gallery. Sweden Malaysia Innovation Day 2011 is an initiative by the Swedish Embassy to share their innovative scientific advances with Malaysians. Embassy of Sweden, the Swedish Trade Council (STC) and the Malaysia – Swedish Business Association (MASBA) will be organising a host of exciting events such as the Nobel-inspired Gala Dinner at Hilton KL (6 May), FEYST . Indie Youth Festival / Digital Delirium Xpo (6-8 May), Innovation Exhibition (9 May) and Innovation Forum (10 May). A marketing and communication solutions company founded in 2006, Go International Group conceptualised and organised the digital lifestyle and music festival, FEYST in 2008. It is the Malaysian licensee for Electronic Sports World Cup France, and is the first company in Asia to bring gamers to DreamHack Sweden. Go International Group is committed to serving the youth community. 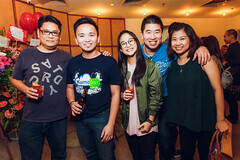 It produces signature events like FEYST to empower young Malaysians to make their mark in the world. The group has pledged to enhance e-sports via its alignment with international festivals like ESWC France, DreamHack Sweden and Digital Youth Awards Shanghai. The company also produces concerts, corporate events and marketing communication campaigns for clients. Visit http://www.gointernationalgroup.com. FEYST11–which encompasses of the 4th Indie Youth Fest, Digital Delirium Xpo and Go International E-sports Cup–supports and creates awareness about digital lifestyle, video gaming and independent music by regularly showcasing young talent in music and video gaming. 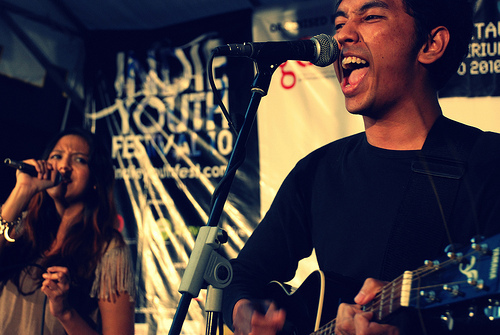 The annual Indie Youth Fest (www.indieyouthfest.com) acts as a hub to meet, network and perform. The community of indie musicians, singer-songwriters, poets, beatboxers, bloggers, pro-gamers, technopreneurs and filmmakers come together to learn, exchange ideas and showcase their talents at this one-of-a-kind festival. Since its inception in 2008, the Indie Youth Fest has created exposure for talented young Malaysians in their respective areas and given them opportunities to showcase their abilities both locally and around the globe. The Digital Delirium Xpo and Go International E-Sports Cup is also where amateur and professional video gamers compete for a chance to represent Malaysia on an international scale. 35 young Malaysians have participated in major e-sports competitions and music festivals such as the ESWC at NVISION 2008 in San Jose, USA; the Malaysia Fest in Sydney, Australia; DreamHack in Jönköping, Sweden; and most recently, the Electronic Sports World Cup in Paris, France. The Digital Youth Award (DYA) Program at the World Expo 2010 Shanghai is a unique project created to promote and strengthen youth cultural exchange, friendship and education via various forms of digital entertainment. The program encompasses activities in two main digital categories – music creation, and digital sports with two exhibition categories in robotics science and interactive fitness. ‘Heroes of Newerth’ (HoN) has been chosen as the official international game title, in which the country qualifiers in e-sports will take place. 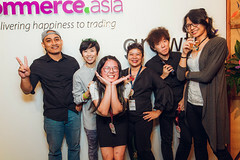 The Digital Youth Award program is produced by 3K Entertainment Pte Ltd., a joint venture company between the CPL and DreamHack. More at http://www.digitalyouthaward.net. ESWC originated from community Local Area Network (LAN) parties in Paris, France. 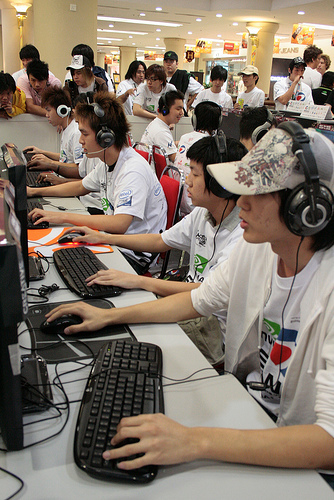 In 2007, the e-sports phenomenon attracted tens of millions who watched the World Finals On-Stage Show broadcasted live each year via TV, IPTV, Mobile, Internet and gaming devices. There, 35,000 visitors attended the community convention while 750 of the best pro-gamers from 51 countries competed for the USD$250,000 prize pool. ESWC is the world e-sporting benchmark and the ONLY Credible Sanctioning Body for Video Games Competitions. 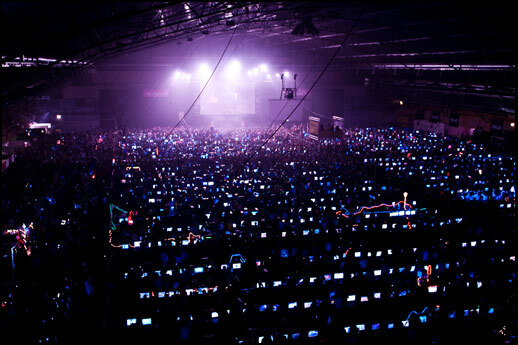 DreamHack is the world’s largest computer festival and holds the official world record as world’s largest LAN party in the Guinness Book of Records. During 2009 DreamHack reached over 200.000 unique visitors with its live activities around the World. DreamHack holds several festivals each year, BYOC Qualifiers and expos. The Spring Season ends with the Season Finals at DreamHack Summer and the Fall Season ends with DreamHack Winter. The major festivals take place during 4 days, 24-7. All of DreamHack’s festivals are alcohol and drug free and open to all ages. For more information go to http://www.dreamhack.se.